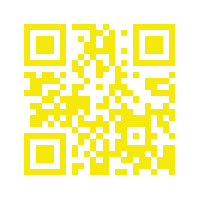 You are currently browsing the tag archive for the ‘Mihin Lanka’ tag. Undoubtedly the most bizarre of the characters who influenced the President in the period after the election of 2010 was Sajin Vas Gunawardena. He was not a relation, and he did not have the professional or academic credentials of the other characters discussed here. Indeed he had hardly any qualifications but, ever since Mahinda Rajapaksa became President, he occupied positions of trust and responsibility. It was claimed that the reason for the confidence the President reposed in him was because, while a clerk in the Middle East, he had helped the President with the technology during a presentation that might otherwise have been a disaster. But it is also likely that, after they thus became acquainted, he was able to serve the President in a variety of ways that commanded his affection and his confidence. The first escapade in which he was involved under a Rajapaksa Presidency was the setting up of a budget airline. Called Mihin Lanka, in honour of Mahinda, it rapidly lost a lot of money, though Sajin himself became very wealthy during his tenure in office. 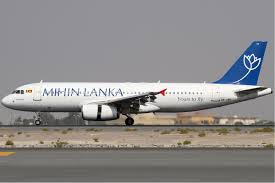 Before long Mihin Lanka was handed over to Sri Lankan Airlines to be managed, and the losses of both together – the Board of the latter chaired by the President’s brother-in-law Nishantha Wickremesinghe – continued a drain on public funds for many years. I first came across Sajin when I was appointed to head the Peace Secretariat, and was told that he was the point of liaison between the Secretariat and the President’s Office. In fact he had no interest in or understanding of our work, and I liaised mainly through the President’s Secretary Lalith Weeratunge, though in those days I generally had immediate access to the President if this was needed. I met Sajin early on in my tenure of office, and then hardly ever again, though he came I believe to the opening of the new office which had been built for us in the premises of the Bandaranaike Memorial International Conference Hall. When we were deciding on the allocation of rooms in that office, my Director of Administration suggested we keep a room there for the use of Sajin. This seemed to me unnecessary, particularly as the room he suggested was the second best in the building. I thought it should go to my Deputy, a retired Tamil ambassador named Poolokasingham, whose stature I thought needed to be established. I told the Director that, since Sajin had not come to the office for a long time, all we needed to do if in fact he wanted a room was to set aside one of the smaller rooms at the end of the main corridor. I heard nothing more after that about that particular suggestion, and I think the Director was secretly relieved, though he had thought it was his duty to keep Sajin happy and thus prevent any recriminations against the Secretariat in general, and me in particular. Whether this contributed to his later animosity against me I do not know, but the experience of our High Commissioner in London, Chris Nonis, indicated that Sajin wanted his importance to be recognized, and resented anyone else who had a direct link to the President. But way back in 2007, Sajin was more interested in his own political career, and during the next couple of years he was elected to the Southern Province Provincial Council. 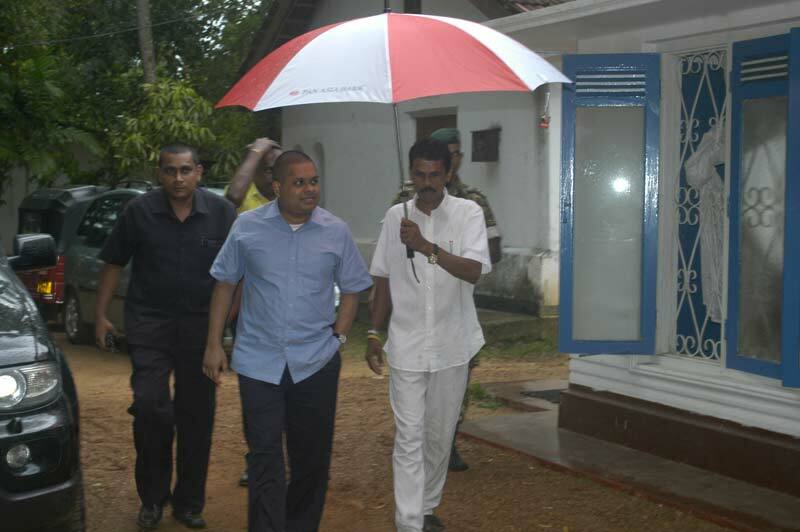 Then, in 2010, he got nomination for the Galle district for the Parliamentary election, and did reasonably well. 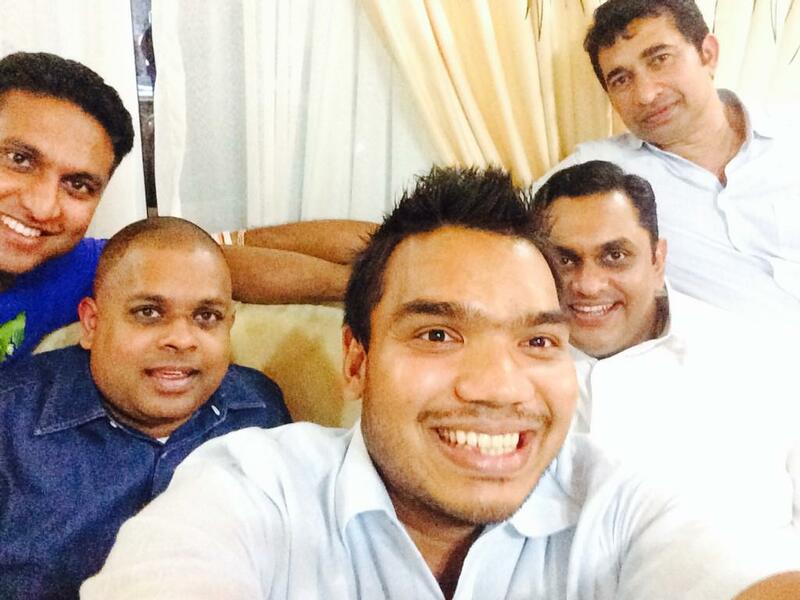 In Parliament he was one of the young MPs in the group around Namal Rajapaksa but initially he had no executive responsibilities. All that changed with the realization that the Ministry of External Affairs was in a mess, and he was appointed to be its Monitoring Member of Parliament. 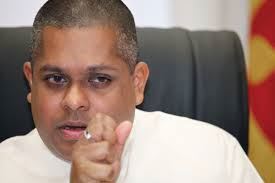 That was the only serious Monitoring MP position, and one heard hardly anything of the few others who had been appointed, until that is Duminda Silva, attached to the Ministry of Defence, was involved in the death of Bharatha Premachandra, another SLFP politician from the Colombo district.